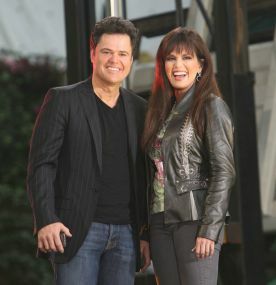 Donny Osmond’s sudden vocal cord surgery will cause some “Donny and Marie” shows at the Flamingo where the brother-sister act headlines to be postponed. Doctors discovered a hemorrhagic polyp on Osmond’s right vocal cord that will be operated on by the specialist who previously treated Adele, Lionel Richie, John Mayer and Sam Smith. He’ll resume performing this fall; hopefully in October. OPENING AT WESTGATE – EDGE STEAKHOUSE EXPANDS TO LAS VEGAS: Edge Steakhouse, a fine dining restaurant helmed by award-winning Chef Nick Lees, is opening at the Westgate on Tuesday, July 28. Operating hours will be 5 p.m. Tuesday through Saturday. Edge Steakhouse features top quality Aged Prime Steaks, Snake River Farm Wagyu Beef, fresh fish and seafood, and specialties along with tableside dining experiences, including a fresh seafood tower, tableside prepared Caesar Salad and an array of micro-desserts. 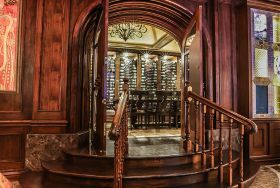 In addition, the restaurant features more than 450 varieties of wine. MYLAN WORLD TEAMTENNIS SMASH HITS WILL VISIT LAS VEGAS: One of tennis’ most star-studded annual charity events the Mylan World TeamTennis (WTT) Smash Hits will visit Las Vegas for the first time on Monday, Oct. 12 at Caesars Palace, courtesy of “The Million Dollar Piano” headliner Sir Elton John and Billie Jean King. Four former tennis world No. 1 players – Andre Agassi, Stefanie Graf, Martina Navratilova and Andy Roddick – will headline WTT. Tickets are on sale ranging from general admission for $45 to premium reserved chair back seats for $125. Special VIP packages are $500. This will be the 13th Smash Hits appearance for Agassi, the third for Graf, 11th for Navratilova and also for Roddick. 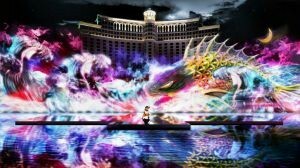 KABUKI SPECTACLE DEBUTS ON STRIP AT FOUNTAINS OF BELLAGIO: Renowned Japanese actor Ichikawa Somegoro will perform an original high-tech rendition of Kabuki masterpiece Koi Tsukami on the Fountains of Bellagio in mid-August. Larger-than-life animations and water choreography will make for an extraordinary rendition of Tsukami’s “Fight with a Carp” with an enormous fish and turbulent sea projected onto the Fountains of Bellagio in an epic battle scene during a 30-minute production. Somegoro will clash with the giant carp from a 165-foot stage constructed inside Lake Bellagio. The Kabuki Spectacle performance schedule is at 9:15 p.m. Aug. 14-16 and at 11:30 on Aug. 15-16. COMMONWEALTH STARTED NEW ‘MARTES’ LATIN NIGHT: Last week, Commonwealth downtown started “Martes,” a Latin-inspired rooftop fiesta, taking place every Tuesday night from 9 p.m. to 2 a.m. “Martes” features live music sets from DJ Low day night from 9 p.m. to 2 a.m. “Martes” features live music sets from DJ Low and guests spinning the best Latin house, salsa, bachata, merengue, reggaeton and Spanish hip-hop music. Master mixologist Dan Marohnic spices up the night with signature drink selections including the Don Juan and the Burro, each $8. THE BUNKHOUSE SALOON ABRUPTLY CLOSED: The Bunkhouse Saloon downtown has closed again with more than 25 shows on its upcoming calendar. Tickets will be refunded. In 2013, the Downtown Project purchased the Bunkhouse and after a very major renovation reopened last August. 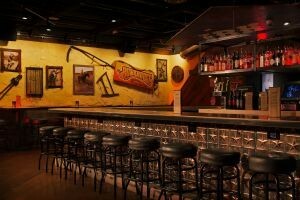 Along the way, the Downtown Project gave the venue’s operational control over to Corner Bar Management. Meanwhile, there is no word if a projected adjacent venue, the Wheel House, set to be owned and operated by Corner Bar will materialize. CRAZY GIRLS STATUE GOES ON DISPLAY AT PLANET HOLLYWOOD: The famous “NO, Ifs ands or…” Crazy Girls bronze statue that was created in 1995 and used to be in front of the Riviera is coming out of storage on Monday, July 27 and put on display on the casino floor at Planet Hollywood. This is fitting since the “Crazy Girls” show is headlining in the resort’s Sin City Showroom. SPIN DOCTORS-CHERRY POPPIN’ DADDIES PERFORM AT FREMONT STREET: Fremont Street Experience’s “Rock of Vegas” free summer concert series continues with Spin Doctors and Cherry Poppin’ Daddies performing a concert on the 1st Street Stage on Saturday, Aug. 1 at 9 p.m. The following series concert will feature Kansas and Blue Oyster Cult on Sept. 6. GREGG ALLMAN VISITS THE PEARL AT THE PALMS: Blues rocker Gregg Allman will make a return visit to The Pearl inside the Palms on Oct. 9 at 8 p.m. Tickets start at $39. Allman first made his impact on rock music as lead singer, organist and songwriter in the Allman Brothers Band, which he helped create in 1969.Other acts appearing at The Pearl in August include: Melissa Etheridge Aug. 7; Fifth Harmony Aug. 13; Jackson Browne Aug. 21; and Vince Gill Aug. 28. TYSON BECKFORD RETURNS TO ‘CHIPPENDALES’ AS CELEBRITY HOST: After breaking box office records during his engagement this past spring, model and actor Tyson Beckford will return as celebrity host for “Chippendales®” at the Rio for five weeks from Aug. 27 through Sept. 27. Also, “Chippendales” now boasts a much longer runway, which brings the hunks closer to the fans. There was a big Beckford buzz after his sultry dance on stage for new Caesars Palace headliner Mariah Carey went viral last spring. FLORAL DISPLAY AT THE PALAZZO TRANSFORMS DURING SUMMER: The Waterfall Atrium at The Palazzo® is continuing to showcase an art installation inspired by Venice’s Carnivale di Venezia because the seasonal display is “transforming” throughout the summer with three distinct color palettes created by changing the selection of fresh flowers. Venetian women topiaries standing approximately nine feet tall are the focal point. The topiary dresses are each constructed from approximately 2,500 flowers. MERCADITO ADDS BOTTOMLESS MIMOSA BRUNCH – MIX & MATCH TACOS: Brunch at Mercadito at Red Rock Resort is now offering bottomless mimosas with the addition of the “No Mas Pantalones Brunch” every Saturday and Sunday from 11 a.m.–3 p.m. This special includes one brunch item and unlimited Mercadito mimosas including regular, strawberry, pineapple, guava or mango for $25 with additional brunch items and cocktails available for purchase. Mercadito offers a variety of special promotions including: all-you-can-eat tacos for $24 every Sunday and Monday; 15 percent off for military members on Monday; 30 percent off food and drinks for industry guests on Takeover Tuesdays; and ladies night, Chicas Night Out, every Thursday evening. NEON MUSEUM FUNDRAISES TO REPAINT DESERT ROSE MOTEL SIGN: The Neon Museum is launching a preservation and conservation program to repaint the Desert Rose Motel sign with online crowdfunding resource Indiegogo. 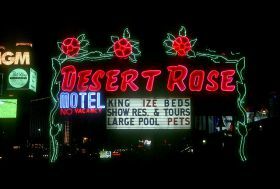 Donors will get something in return for their contribution from the $10 Rose Supporter level to $2,500 Rose VIP level and above.The Desert Rose Motel opened at 4000 Las Vegas Boulevard South in 1953 and a pole-mounted, roadside sign designed by the Young Electric Sign Company (YESCO) was installed in front of the property in 1960. The motel remained operational until its demolition in 1995..
HARRAH’S HEADLINER MAC KING APPEARS ON ‘PENN & TELLER: FOOL US’: Harrah’s headliner comedy-magician Mac King will try to “fool” fellow magicians Penn & Teller on CW’s “Penn & Teller Fool Us.” Magicians are invited to perform their best trick to try and fool the Penn & Teller duo, who see the trick once and have to immediately attempt to work it out before a live studio audience. King’s episode will broadcast on Monday, July 27 from 8–9 p.m.
HEALTHY-CONCEPT RESTAURANT JACQUES CAFÉ OPENS: Named after owner and Chef Jacques Pauvert, Jacques Café is a new healthy oriented restaurant with hormone-free and grass-fed beef and poultry from organic farms. This casual family American bistro located in Trails Village Center offers breakfast, lunch, dinner and Sunday Brunch. Wine and beer are also available. 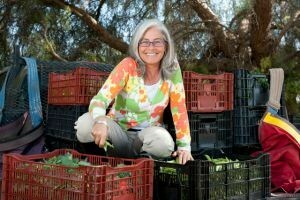 FARMERS MARKETS OFFER TIPS AND DEMO: Kerry Clasby, the Intuitive Forager, will talk about Dry Farmed Early Girl Tomatoes grown on California’s Central Coast on Friday, July 31 at 11 a.m. for “Talk & Taste” at the Downtown 3rd Farmers Market. On Saturday, Aug. 1, for the Chef Demo Series at noon at the Downtown Summerlin Farmers Market, culinary grill master Chef Collin of Taste of Jamaica will highlight summer outdoor dining tips. Chef Collin is known for his Jerk wild caught salmon and Jerk organic chicken with grilled organic veggies. XTRA NEWS ITEMS: La Arrolladora has cancelled its performance scheduled for Sunday, Sept. 13 at The AXIS at Planet Hollywood due to scheduling conflicts. Engelbert Humperdinck was at Westgate for three days this month filming segments for a documentary being produced about his life and 50-year career. He filmed scenes on the main showroom stage where he was a headliner for nearly a decade when the hotel was the Las Vegas Hilton and also at the Elvis Museum at the hotel. 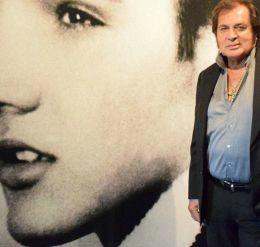 Engelbert and Elvis were good friends and they often attended each other’s shows and spent time together backstage. The cost of a marriage license in Las Vegas has increased by $14 to $77. The extra money will be spent promoting Las Vegas as a wedding destination since the number of licenses in Nevada has been declining. In time for football picks, the D Las Vegas downtown has unveiled new party “Man Cave” rooms with plush leather couches, beer-pong tables, big screen TVs and fast Wi-Fi technology. Each room includes private cocktail services and an assortment of customizable menu options for larger groups. Last week, Luxor’s “Fantasy” ladies started hosting parties every Wednesday night at the LAX Nightclub after their 10:30 p.m. show. Also accompanied by the show’s comedian, Sean E. Cooper, the gorgeous cast mixes and mingles with fans. 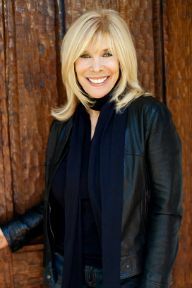 Five time Emmy-award winning choreographer, producer of “Fantasy” at the Luxor, director, dancer and actress, Anita Mann, will be one of four featured speakers at the 3rd Annual Woman to Woman Conference: Living Your Authentic Life on Thursday, Sept. 17 at the Skirball Cultural Center in Los Angeles. International retailer Oakley is now open inside Miracle Mile Shops at Planet Hollywood featuring innovative men’s and women’s sunglasses, athletic apparel, goggles, watches and accessories. This location is one of three stores across the globe. Mercadito at Red Rock resort celebrates its first anniversary this summer with new, limited edition menu items. Mercadito has introduced a new Surf & Turf taco and Old Fashioned Mercadito cocktail to celebrate one year through Aug. 31. Cabo Wabo Cantina at Planet Hollywood has introduced a new menu offered Monday through Thursday from 3 to 6 p.m. Happy Hour selections include $3 chicken, beef or pork street tacos and daily beer and shot specials starting at $5. Las Vegas’ Largest Mixer® will be held Wednesday, Sept. 16 at the Tuscany. Admission is $20 at the door. NATIONAL NIGHT OUT BLOCK PARTY AT PROVIDENCE IS FREE EVENT: The National Night Out Block Party at Providence is a free event, promoting crime prevention awareness being held Tuesday, Aug. 4 from 6 to 8 p.m. at Knickerbocker Park in the Providence Master Planned Community in northwest Las Vegas. For information, call 702-216-2020. The family-friendly event will feature interactive and educational activities, booths and emergency response equipment including a helicopter along with first responders and community groups. There will also be a large-scale version of the classic Red Light-Green Light game with a real traffic light. Target will provide free popsicles and water, and well-behaved leashed pets are welcome. ANNUAL CELEBRITY BOWLING TOURNAMENT BENEFITS NEVADA SPCA: The NSPCA – Nevada Society for the Prevention of Cruelty to Animals will present the 3rd Annual “Out of the Gutters” Celebrity Bowling Tournament for Animal Rescue on Sunday, Aug. 2 at Sam’s Town Bowling Center Bowling at 1 p.m. with local celebrities participating. In addition to bowling, guests can enjoy an afternoon with a variety of activities for animal lovers of all ages. Tournament fees are $20 with pre-registration or $30 at the door, $ 7 for kids under 12 years old and teams of five people are $80. All fees include lane fees, equipment rental and one raffle ticket.